Over the years the wilderness has become my sanctuary. Within in it I am challenged both physically and mentally. Getting outdoors, away from the crowds, noise and distractions of daily living, has allowed me to experience intimate, spiritual challenges and emotions that I find nowhere else. This began at an early age, hiking in the Catskill and Adirondack Mountains in upstate New York and continued when in 2001 I hiked the Pacific Crest Trail, walking from Mexico to Canada, in 4 1/2 months. After moving to Arizona in 2006, I was introduced to a sport that would put all of my outdoor adventure skills to the test. 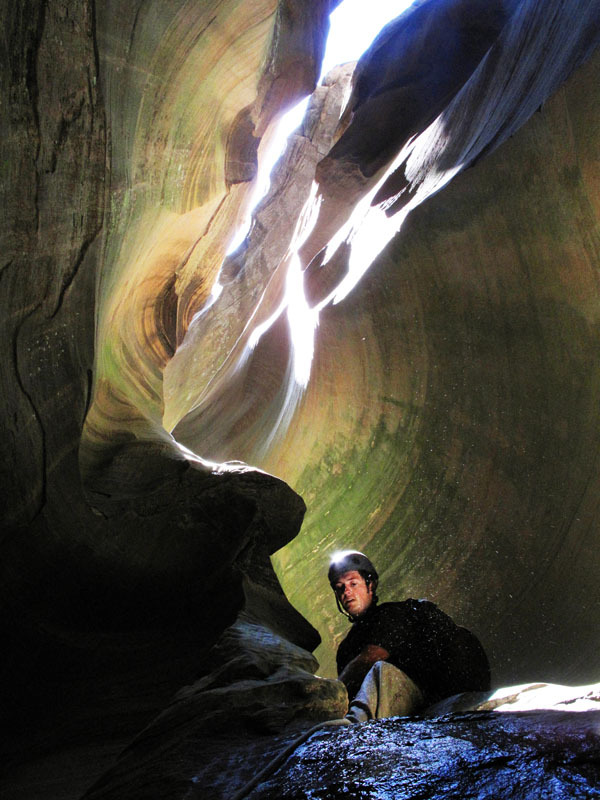 Canyoneering is the sport of exploring canyons. It involves, in no particular order: hiking, climbing, rappelling, swimming, navigation, teamwork, problem solving and physical endurance. I was quickly obsessed with these adventures in narrow places. In pursuit of the sport I have traveled half away around the world and deep into the most hidden corners of the southwestern United States. It has pushed my comfort level to the limit, provided unexpected and unimaginable beauty, created deep friendships and even placed me in some intense situations. All the while creating an intoxicating connectivity to environment. Through photography, video shorts & writing I have tried to come as close as I can to describing the experience. To see more check out my blog,“Canyonlands: Tales from Narrow Places“.